A Joomla component is a core element of Joomla. Components are the main functional units of Joomla! ; they can be seen as mini-applications. 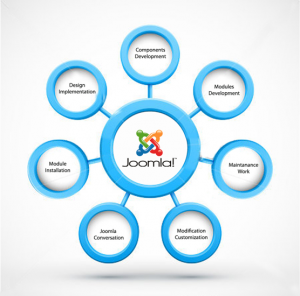 Joomla component is the most complex kind of Joomla extension. Components are displayed in a Joomla-powered website’s main body position. If you are looking to generate a fully functional, ready to install, custom Joomla component development and customization then you are in the right place. Omkarsoft Generate a fully functional, ready to install, custom Joomla component in a small amount of time. Omkarsoft is the Joomla Component Development Company based in Bangalore India. For customization and Joomla component development services you can contact us. Our company has professional joomla developers who are providing great quality Joomla Component Development. Our engineers have got overall 7 years of industry experience and have created several custom website applications, components, and other extensions. We are Joomla development Company and our main focus is to provide Joomla Development Services all over the globe.